I love reading. I think it is so important as I certainly would not be who I am or where I am today without the books that I have read. 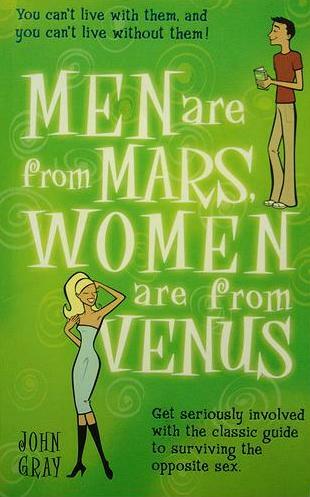 I think that everyone should read, whether it’s fiction or non-fiction. In an effort to motivate others to read and to emphasize how much reading can impact your life, I thought that it would be nice to list the top 3 books that have influenced me as well as how they’ve influenced me. I bet you didn’t see this one coming. This was the first self-help book that I ever picked up and it was an eye-opener. Non-fiction books don’t have to be boring – in fact, there are many of them out there that can help you learn about whatever you want, even relationships! You could say this book was my “gateway drug” to more non-fiction books, including the next two on this list. Obviously not all men and women behave as Gray describes in his book but I was exposed to other perspectives that I had not even considered before. For example, according to Gray, men generally prefer going into their “caves” to sort things out rather than talking when they have a problem in their mind. This blew my mind since talking about the problem with someone else always makes me feel better. After reading my copy, my boyfriend thought that this book was so useful that he bought himself a copy as well :). I highly recommend this book even if you are not in a relationship! In short, I realized that I have the potential to do (almost) anything that I want but I need to work for it. If I’m not “good” at something, it’s not that I am inherently bad at it and am doomed to be bad at it forever; I just need to practice deliberately and consistently to improve my performance. This book also fueled my addiction to reading and learning because I realized that I could learn anything that I want and that I am far from my true genetic potential in any field! For other books on a similar topic, check out Mindset by Carol Dweck, The Talent Code by Daniel Coyle, and Outliers by Malcolm Gladwell. “In a culture where being social and outgoing are prized above all else, it can be difficult, even shameful, to be an introvert. But, as Susan Cain argues in this passionate talk, introverts bring extraordinary talents and abilities to the world, and should be encouraged and celebrated. For those of you who don’t know me, I am much more of an introvert than an extrovert. I have always been quiet and though I’ve learned to speak up more over the years, I have always struggled with my introverted tendencies. After watching her TED talk and reading her book, I am much more comfortable with my introversion. I know that I can and will continue to improve on my social skills (see book #2 above) but I no longer feel like I should always talk a lot or that I should go out to large parties. It’s okay that I prefer small group settings where we can have deeper conversations and it’s okay that I prefer listening to speaking. This book allowed me to accept myself for who I am and because of that, I have been able to grow personally. My boyfriend wrote a short book review and he talks a bit more about the book than me so check it out! 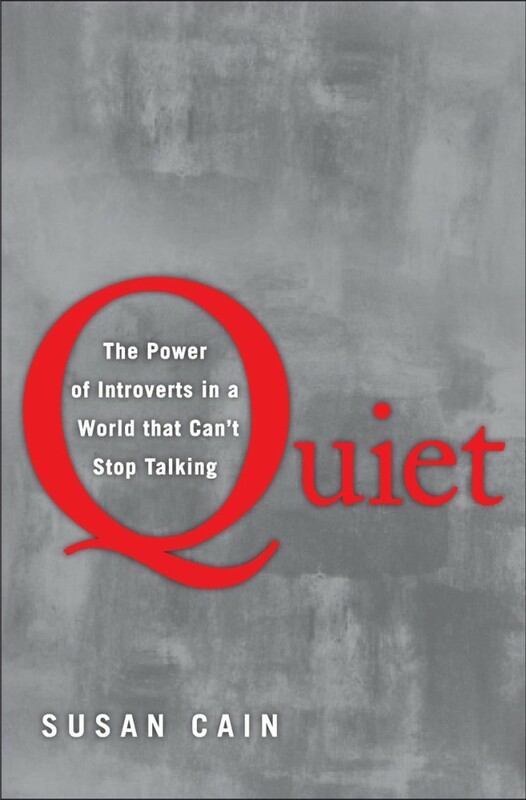 Also, this book would be useful for both introverts and extroverts. It’s not saying that introverts are any better than extroverts – we each have different strengths and the world would be better off if we could learn to harness each other’s strengths :). So that’s my list! What would you list as your top 3 (or 2, or 1) influential books? And how have they influenced you? I’m always looking to add more to my reading list so send me an email, leave a comment below, or contact me on Facebook! Happy new year! I hope 2014 is filled with lots of reading and learning for everyone! I think for me “Mindset: The New Psychology of Success” would definitely be in the top 3.